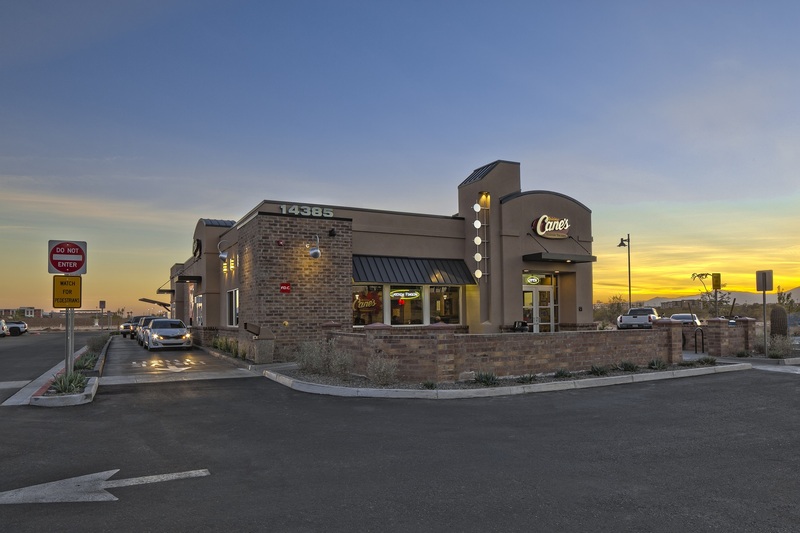 Phoenix, Ariz. – Phoenix Commercial Advisors closed on Raising Cane’s, Wednesday, May 17. The property, located on 1.25 acres on the southwest corner of Civic Center Drive and Bell Road at 14385 W. Bell Road in Surprise, Ariz., sold for $4,174,000, or $1,154 per square foot. The brand-new, 3,616-square-foot building closed at 100 percent of the asking price. Steven Underwood and Chad Tiedeman at Phoenix Commercial Advisors represented the seller, Bell Road Surprise AZ, LLC, in the transaction. The transaction is one of 11 retail investment property sales for the Phoenix Commercial Advisors’ Investment Team in 2018.